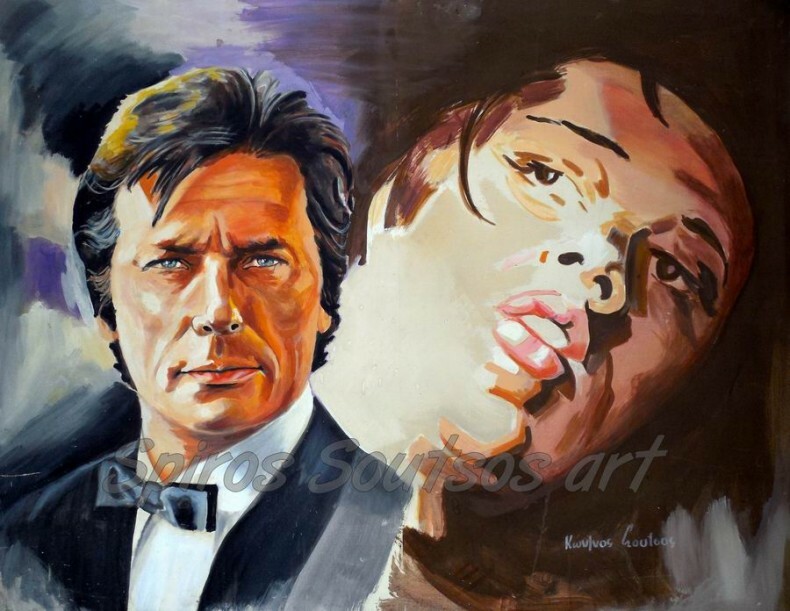 Alain Fabien Maurice Marcel Delon, aka Alain Delon born 8 November 1935) is a French actor and businessman, with French-Swiss dual citizenship since 1999. Delon became one of Europe’s most prominent actors and screen “heart throbs” in the 1960s. He achieved critical acclaim for roles in films such as Rocco and His Brothers (1960), Purple Noon (1960),L’Eclisse (1962), The Leopard (1963), Lost Command (1966) ,Le Samouraï (1967) and Le Cercle Rouge (1970). Over the course of his career Delon worked with many well-known directors, including Luchino Visconti, Jean-Luc Godard, Jean-Pierre Melville, Michelangelo Antonioni and Louis Malle.